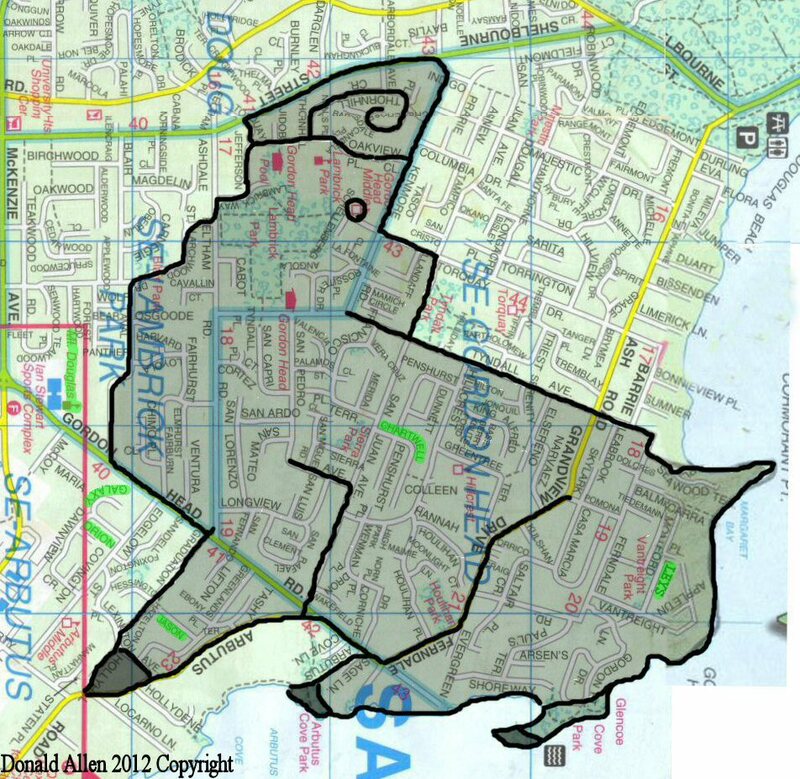 Click on the map for high resolution. 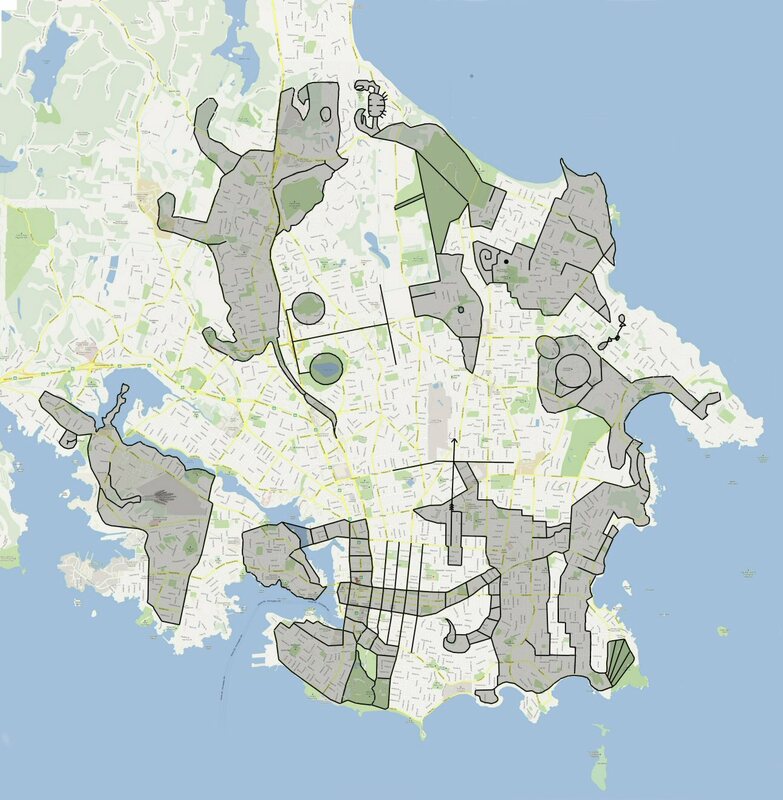 Click again to zoom in on the different areas of the map. 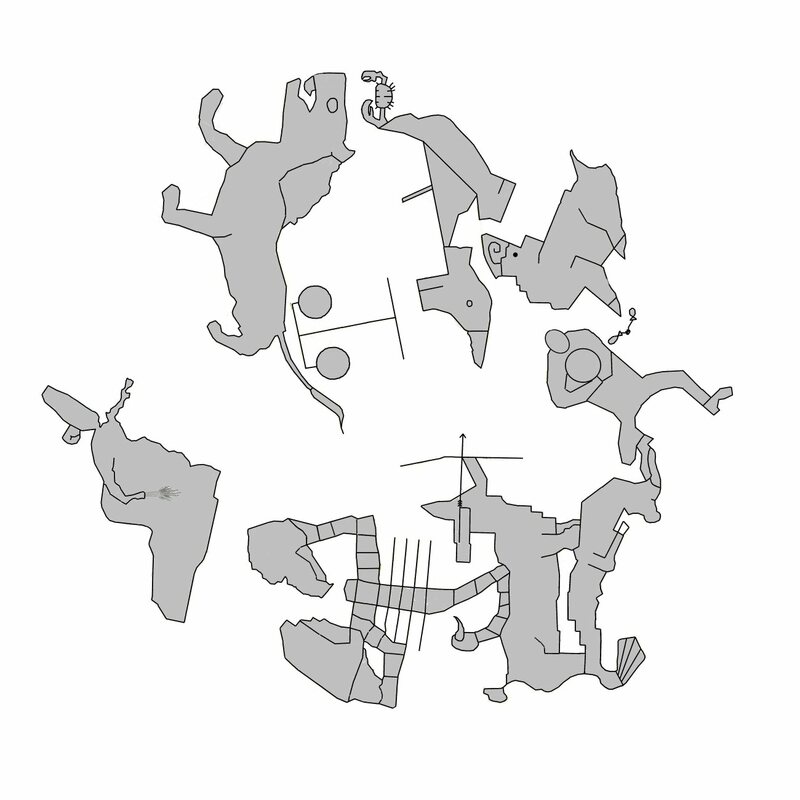 The following is a look at the Pisces effigy of the VLZ (Victoria Landscape Zodiac). 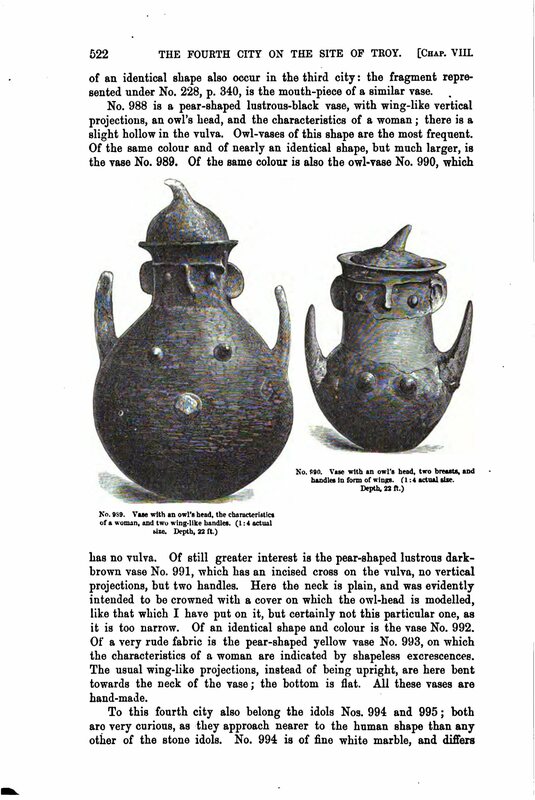 By the time I first learned about the VLZ, neither the Pisces or Cancer effigies had yet been discerned which left them open for me to discover. It was Aries’ pointing front foot and reverted head that lead me to the locations of both. Victoria’s Pisces effigy is located in the Arbutus area of Victoria between the elbow of Aquarius and front foot of Aries effigies. One of the fish is formed by Lam Circle (hence the Pisces Circlet). 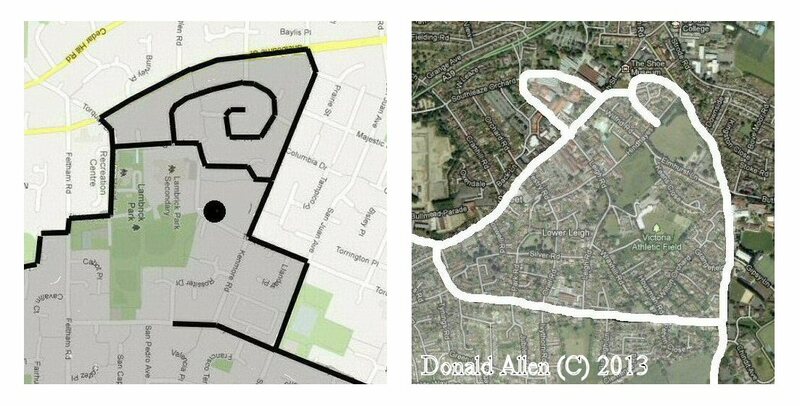 The other fish is formed by the fish shaped road/parking lot of the Queen Alexandra Centre for Children’s Health. 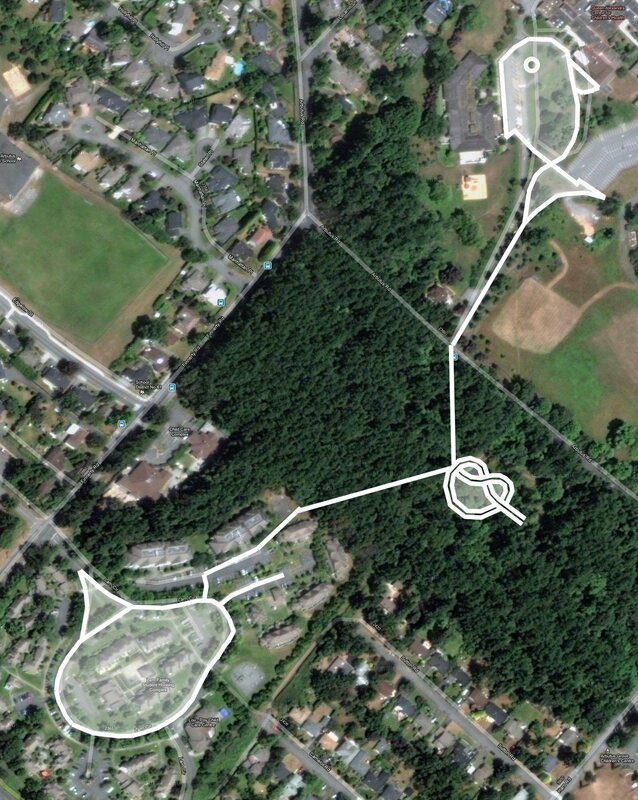 The winding network of foot paths thru Haro Woods forms the knot that binds the fishes together. Before going into great detail about Victoria’s Pisces effigy, I just want to point out a few things about the Pisces constellation. 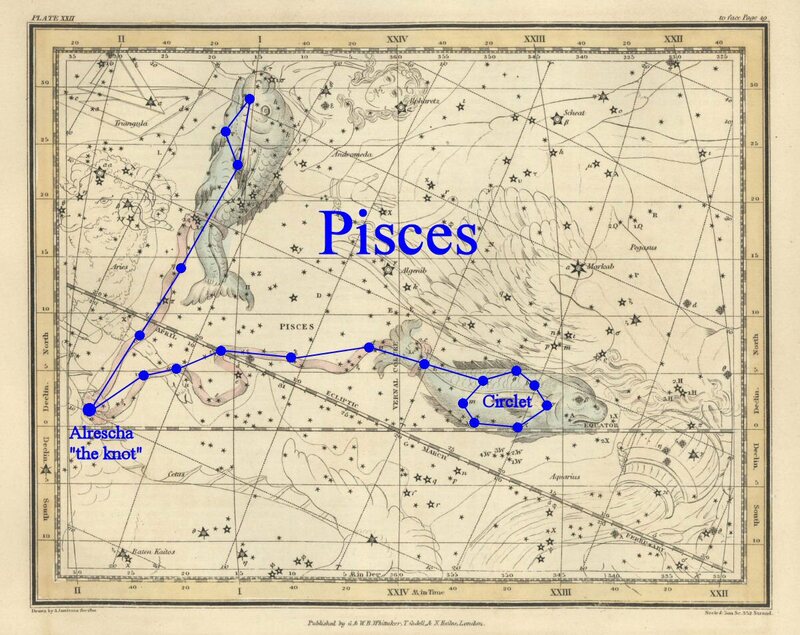 The Pisces constellation is seen as two fishes bond by a cord. It is shaped like the letter ‘V’ with a small triangular shape on one end and the “Pisces Circlet” on the other. The whole constellation itself, which represents several goddesses of fertility, is said to resemble the female reproductive organs (fallopian tubes, ovaries etc…). The fishes are both a Christian and a pagan symbol. They first appeared in an early myth, pushing a giant egg out of the waters of the river Euphrates. From the egg emerged the love-goddess Atagartis. 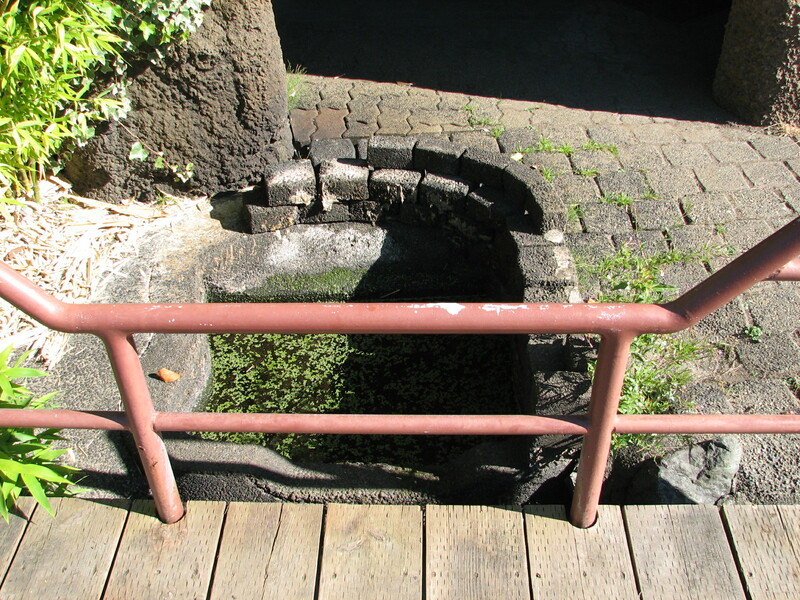 Both she and her son-lover, Ichthys, took the form of fishes and in all her temples there were sacred fish ponds. This early fish cult, which centres around the mother goddess and her son, who dies annually and is reborn, has many things in common with the Christian story, and Christ, the Fisher of Men who divided the loaves and the fishes, was known as Ichthys, which means Fish, in early Christian times. The beginning of the Age of the Fishes, when the spring equinox moved on after its 2000-year stay in Aries into Pisces, roughly coincided with Christ’s birth. Greek mythology tells us that Venus/Aphrodite, fleeing from Typhon with her child Cupid/Eros came to the river Euphrates in Syria. Hearing the wind suddenly rise and fearing that it was Typhon, the goddess bound herself to her son and leapt into the river. Either two fish bore them up and were rewarded by being transformed into the constellation Pisces or they themselves transformed into fish and immortalized the moment by placing it amongst the stars. 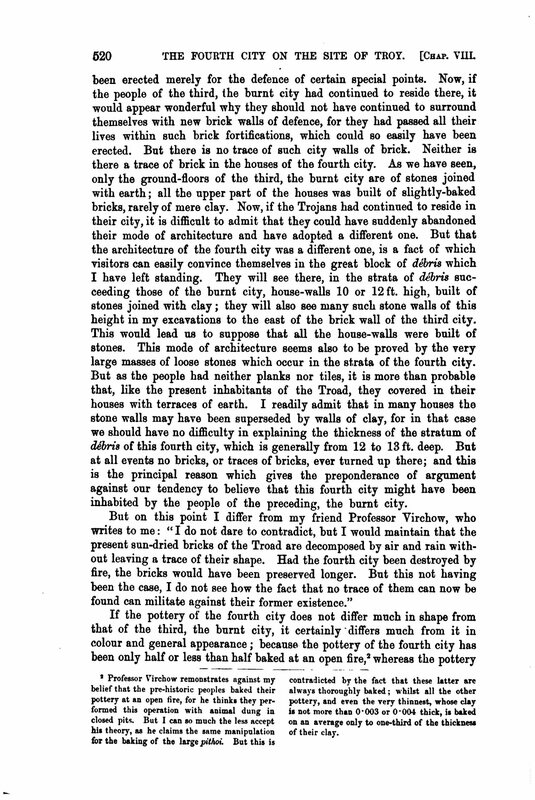 The images above gives a more detailed look at Victoria’s Pisces effigy and surrounding area with many of the key points highlighted. 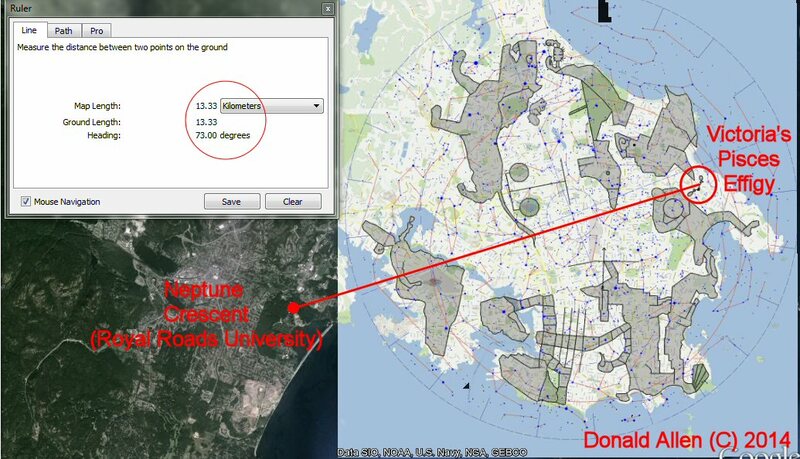 The lower image is the same satellite image with out the distraction of the key points for comparison sake. Notice how Victoria’s Pisces effigy also resembles the female reproductive organs. 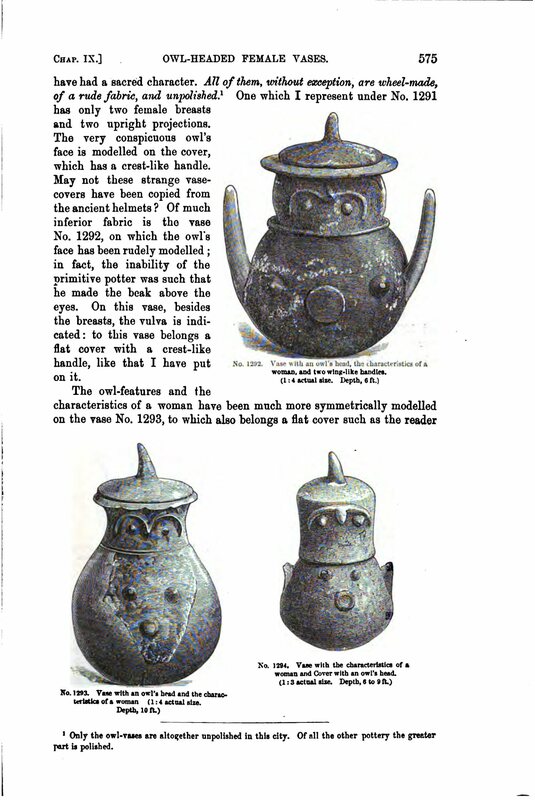 These images are high resolution so you can click on them to enlarge them. Notice all of the points that relate to Queens/Goddesses, children and Fish. 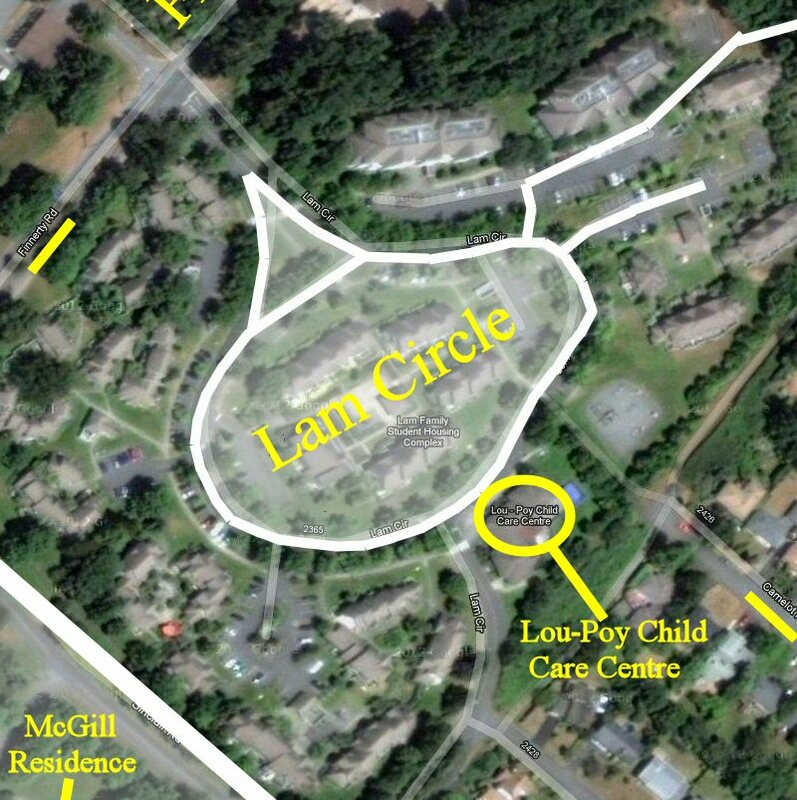 Like the constellation Pisces that contains the “Circlet”, one of the fish of the Victoria Pisces effigy is formed by a roundish road called Lam Circle. Though I know Lam Circle forms a fish, I can’t really figure out exactly which species it is supposed to be and how it is supposed to be drawn out. It does have a definite pointed fin shape that points towards FINnerty Road. I feel that it looks much more like a horseshoe crab than a fish at all. What I find interesting about this is that Pisces represents the goddess Atagartis and there is a genus of crab called Ategartis. 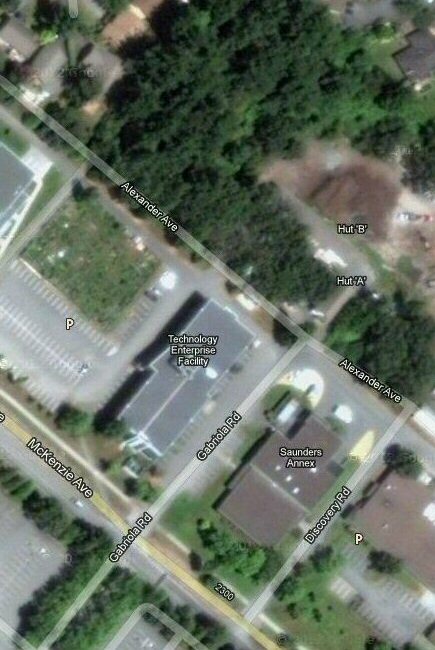 This image show the other fish that is formed by the Parking lot of the Queen Alexandra Centre for Children’s Health. This fish, most appropriately, resembles a child’s drawing of a fish. Note also that some of the fish’s tail is obscured by overhanging trees. 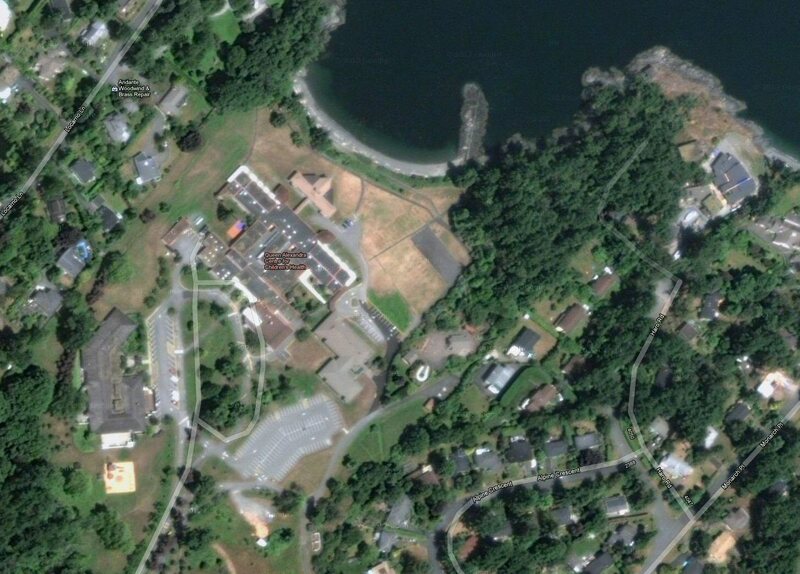 Note also that the building to the left (west) of the fish is somewhat shaped like a hook. These images show some of the key points surrounding the Queen Alexandra Centre for Children’s Health. 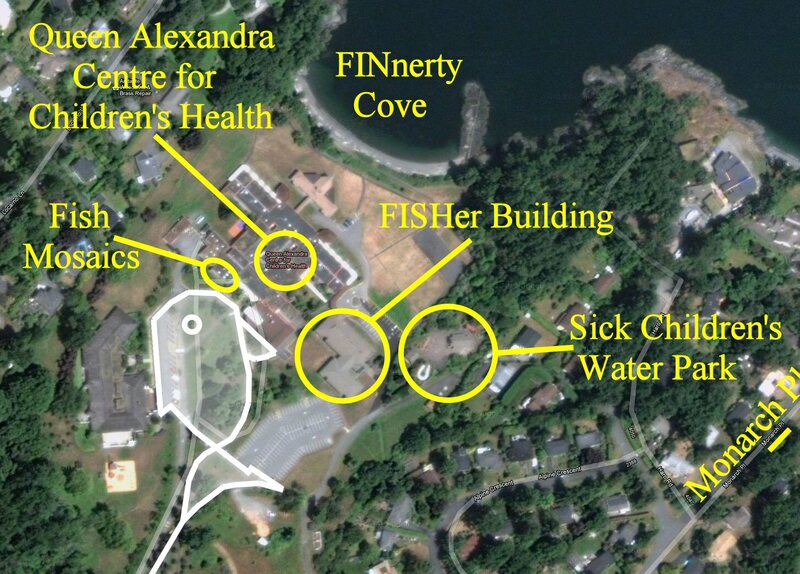 The Queen Alexandra Centre is located at FINnerty Cove, one of the buildings is called the Fisher Building, there huge mosaic of fish on the front wall and there is a water park (which includes a fish pond) on the grounds. 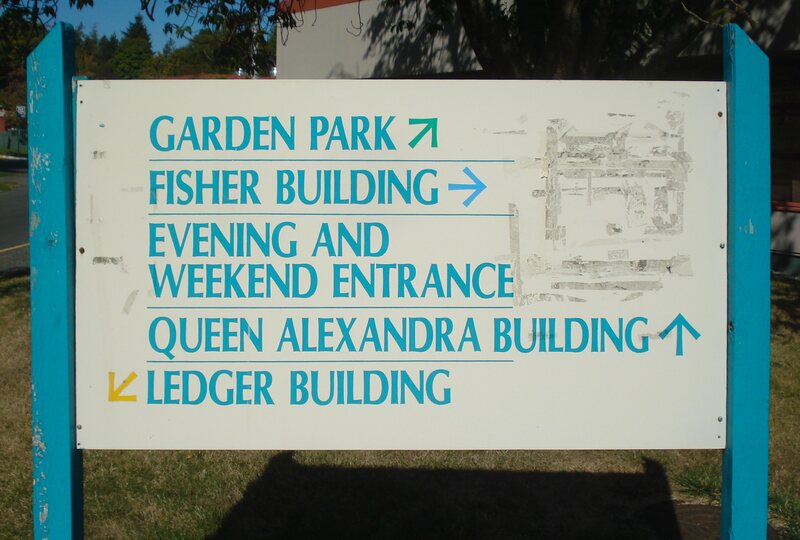 Welcome to the Queen Alexandra Centre for Children’s Health. The mosaic of fish on the front wall. Cetus the whale surrounded by birds, fish, starfish, crabs and a lobster/crayfish. You will have to overlook my terrible panoramic photo stitch job. A closer look at one of the mosaic fish. 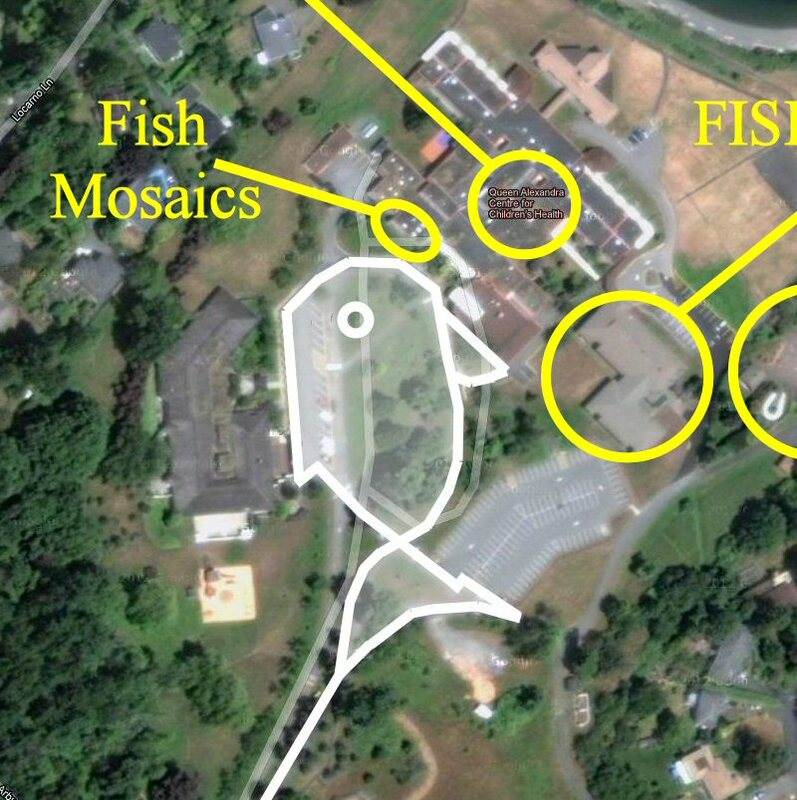 Notice the similarities between the mosaic fish and the fish shape of the parking lot (especially the shape of the tails and dorsal fin). Water Park in the off season. 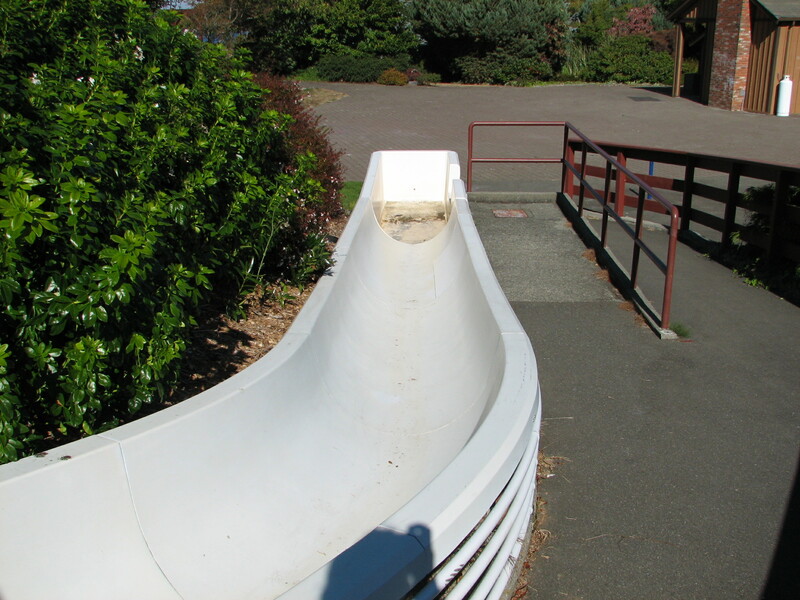 Bottom of the water slide. Goddess walking amongst the water wheel and raised river. 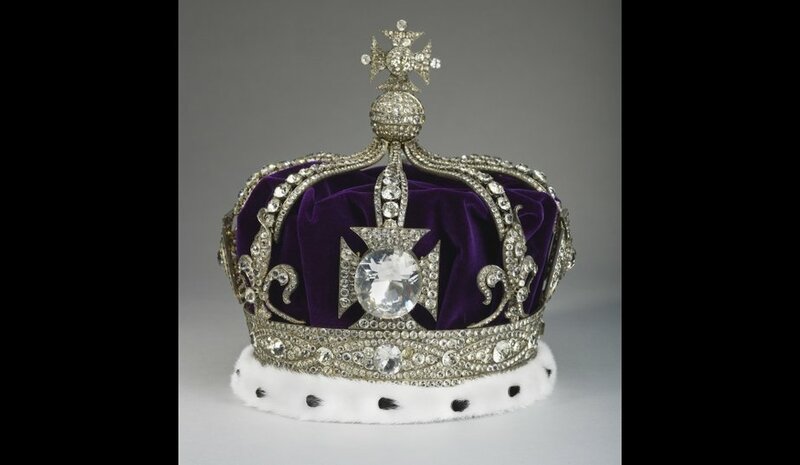 The crown itself departed from the standard style of British crowns, and was more akin to European royal crowns. It was less upright than the norm in British crowns, and more squat in design, with an unprecedented eight half-arches. 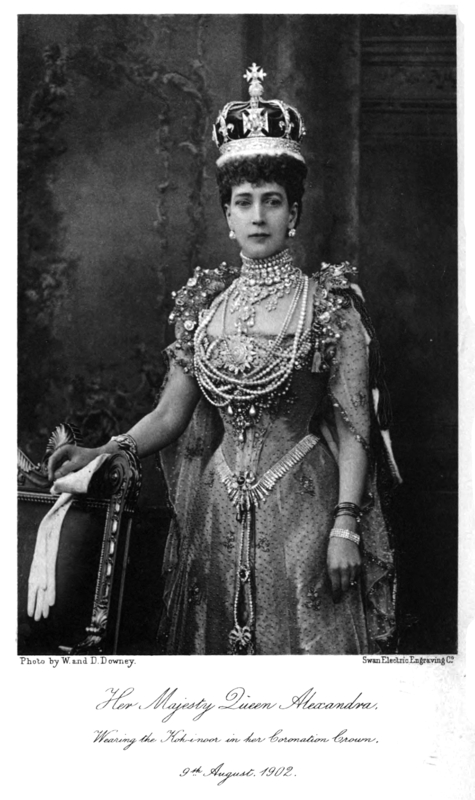 Its front arch joined a jeweled cross into which was set the Koh-i-Noor diamond. As with the later Crown of Queen Mary and Crown of Queen Elizabeth, the arches were detachable, allowing the crown to be worn as a circlet. Circlet Crown, Pisces Circlet and Lam Circle forming one of Victoria’s Pisces fishes. The next point of interest is the Technology Enterprise Facility at 2300 Mckenzie Avenue just one block northwest of the Lam Circle fish. Inside this facility is V.E.N.U.S. 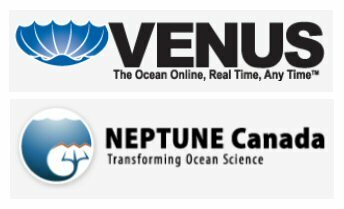 (Victoria Experimental Network Under the Sea) and NEPTUNE Canada. The constellation Pisces represents the Goddess Venus/Aphrodite and the Zodiac sign Pisces is ruled by planet Neptune. What is V.E.N.U.S.? V.E.N.U.S. coastal network, part of the Ocean Networks Canada Observatory, is a cabled undersea laboratory for ocean researchers and explorers. V.E.N.U.S. 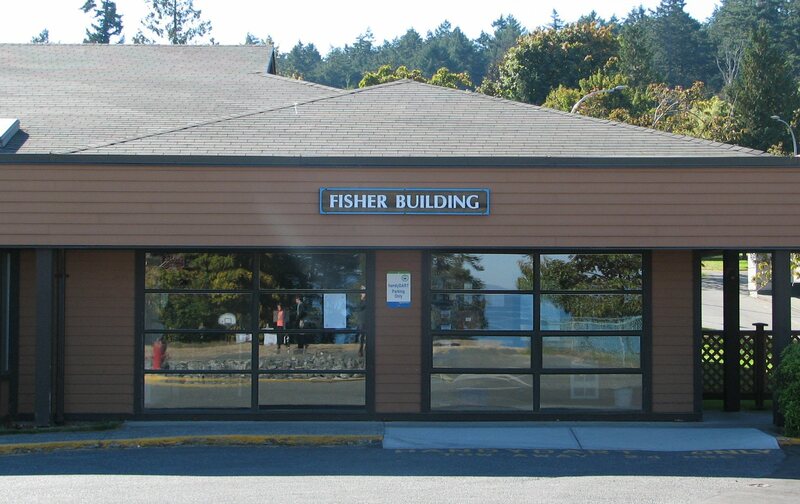 delivers real time information from seafloor instruments via fibre optic cables to the University of Victoria, BC. What is NEPTUNE? NEPTUNE Canada, the world’s first regional-scale cabled observatory network, is located off the west coast of Vancouver Island, British Columbia. The network, which extends across the Juan de Fuca plate, gathers live data from a rich constellation of instruments deployed in a broad spectrum of undersea environments. Data are transmitted via high-speed fibre optic communications from the seafloor to an innovative data archival system at the University of Victoria. 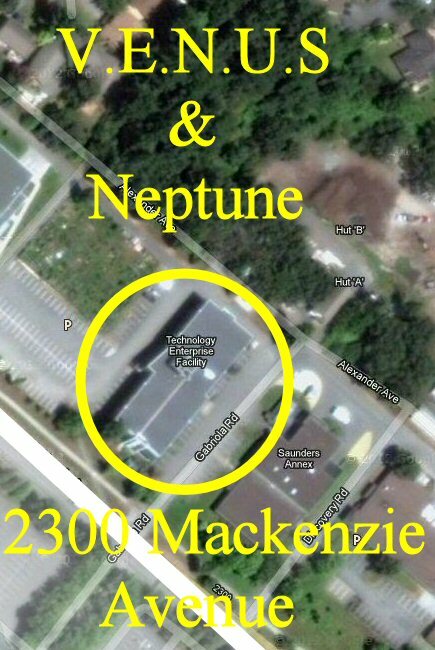 Though it is not actually located within the Victoria Zodiac circle, Neptune Crescent at Royal Roads University is orientated at 73 degrees east of true north, pointing directly to the cord of Victoria’s Pisces Effigy which is exactly 13.33 km away crossing McGILL Road, Neptune Canada and FINnerty Road along the way. 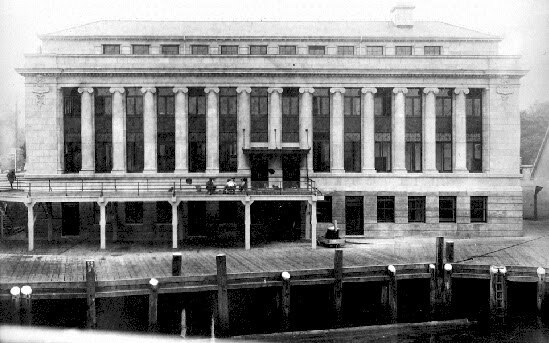 The City of Victoria was founded by the Hudson’s Bay Company on March 14, 1843 (while the Sun was in the Zodiac Sign Pisces which is ruled by Neptune/Poseidon), as a trading post and fort at the location the First Nations called “Camosack” meaning “Rush of Water”. Hence, Pisces represent Aphrodite and Cupid in the form of fishes, bound together by a cord so they would not be separated by the ‘rush of water’ during the battle between the Gods and Typhoeus. 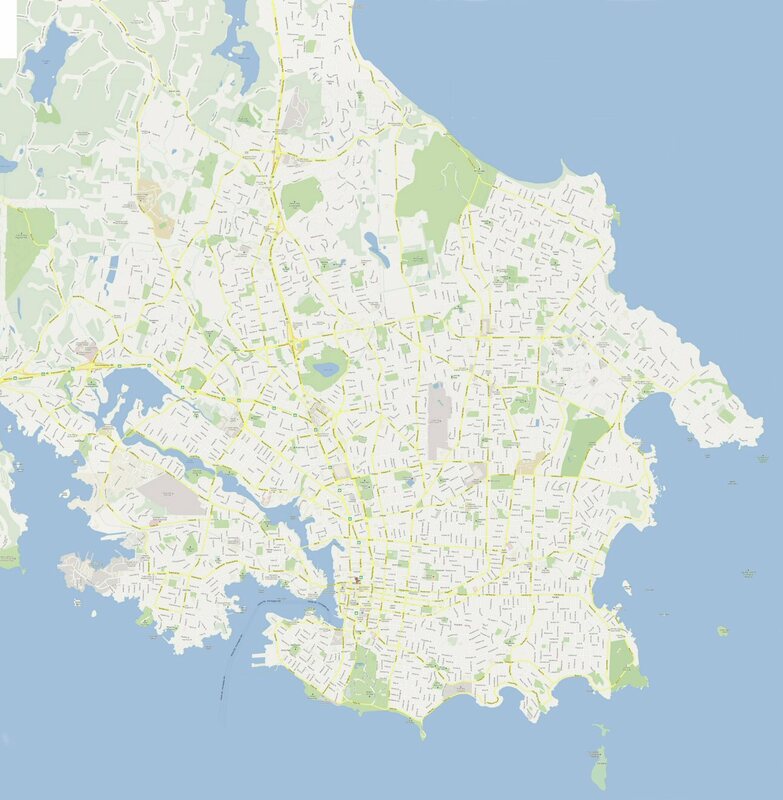 As a Pisces city, it comes as little surprise that the city of Victoria should have a Temple of Poseidon over looking “Camosack”, “the Rush of Water”. Poseidon is said to be the father of Orion. Curiously enough, Victoria has a street called Orion Place that points directly to the Temple of Poseidon. 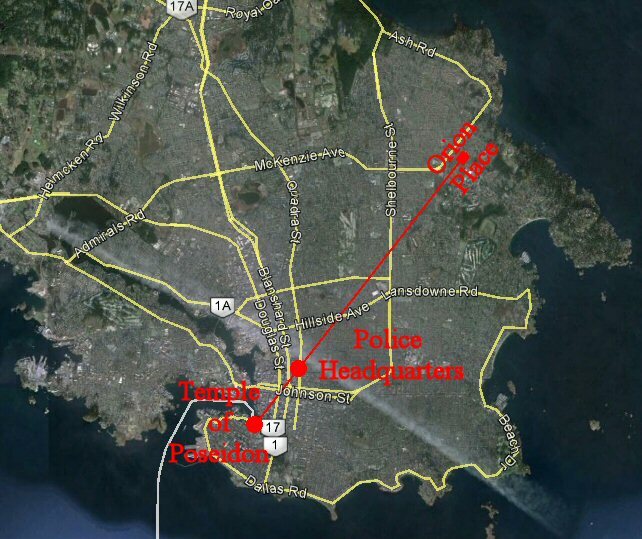 What is even more curious is that the line that runs between Orion Place and the Temple of Poseidon ‘just so happens to’ run directly over the very center of the Victoria Police Headquarters which ‘just so happens to’ be a three tiered building that is shaped very much like Poseidon’s Trident. Note the triangular shaped building across the street from the Police Headquarters. Victoria Police Headquarters Shaped like Poseidon’s Trident. Oh wait a minute. What is that I see on the Victoria Police crest??? One of the only symbols on the crest is Poseidon’s Trident. Poseidon’s Trident on the Victoria Police Crest. Much more to come . . . Stay connected for more information. The VLZ is made up of many different layers. The following images show some of the mains layers. The first layer is the city map of Victoria itself. 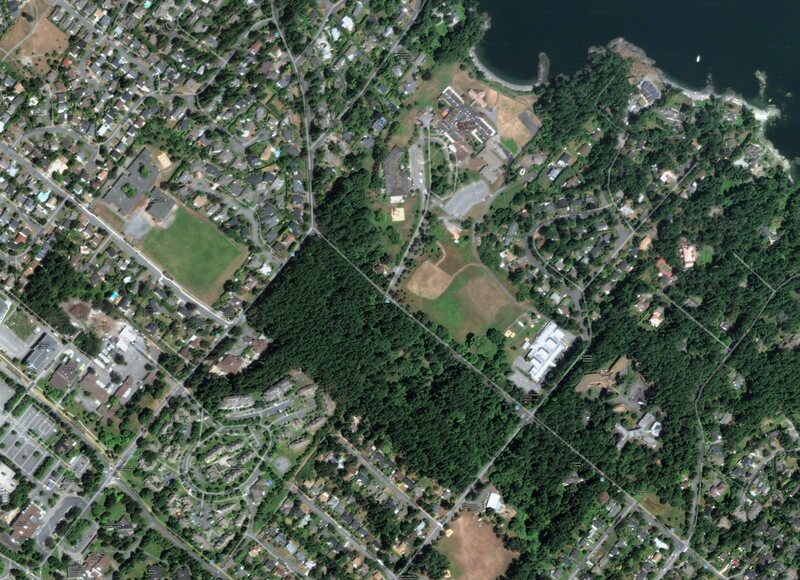 Though I would have like to work with satellite imagery, I chose to start with map view for clarity. 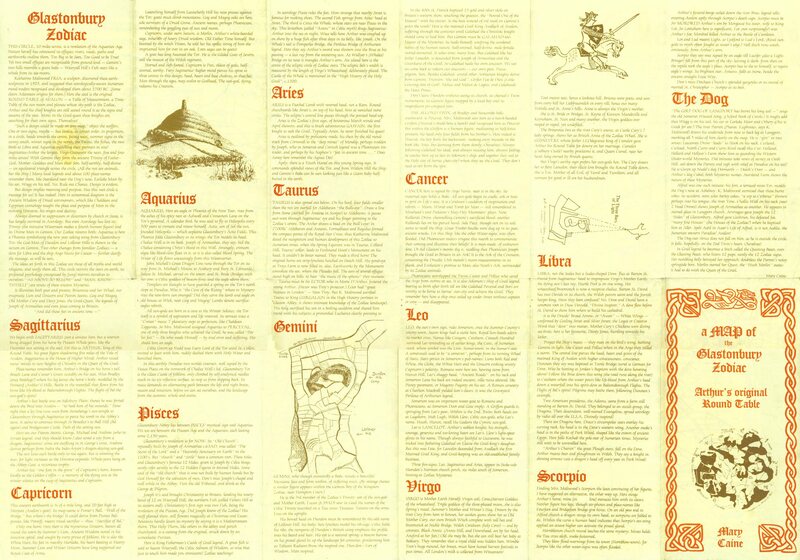 The second layer is the Zodiac effigies which are formed by the features in the landscape, such as buildings, roads, streams, shoreline, field boundaries parks etc . . . This image shows the effigies themselves without the city map. To varify a landscape Zodiac, one needs to make sure that the Zodiac effigies correspond with the celestial constellations. 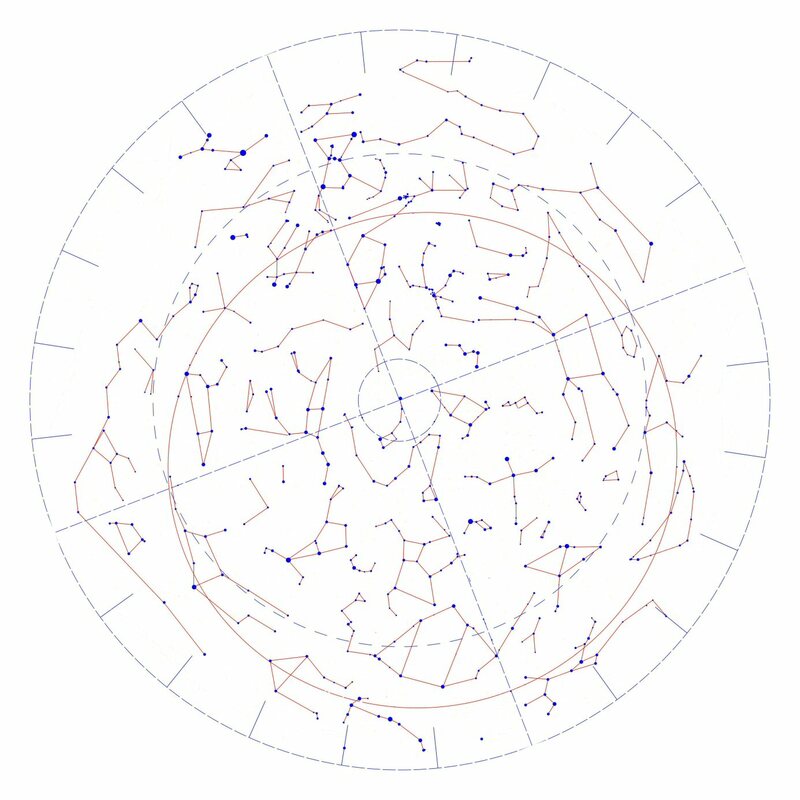 To do this, one needs to overlay a planisphere—that in mirrored/reversed and of the correct size—on top of the Zodiac map with Polaris (the north star/polestar) in the center and rotated to the correct degree so that all of the stars and constellation of the planisphere align with correlated landmarks on the city map. 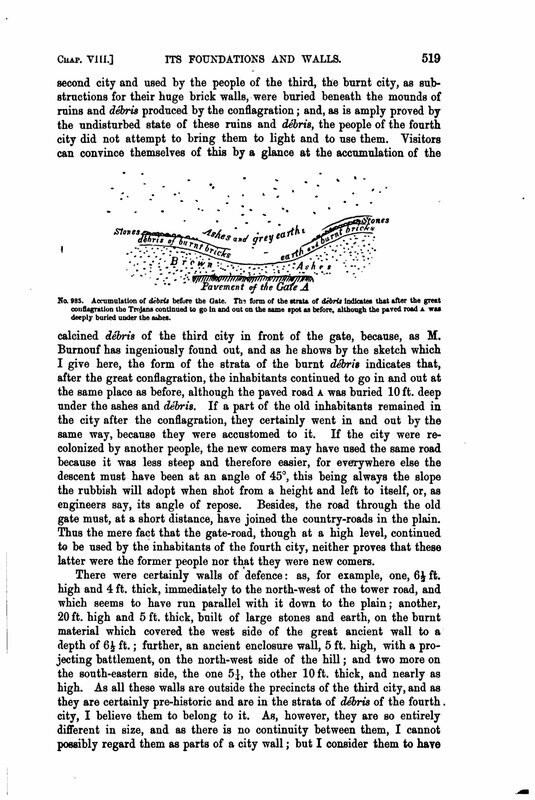 This image shows the planisphere in it proper position over the city map of Victoria. 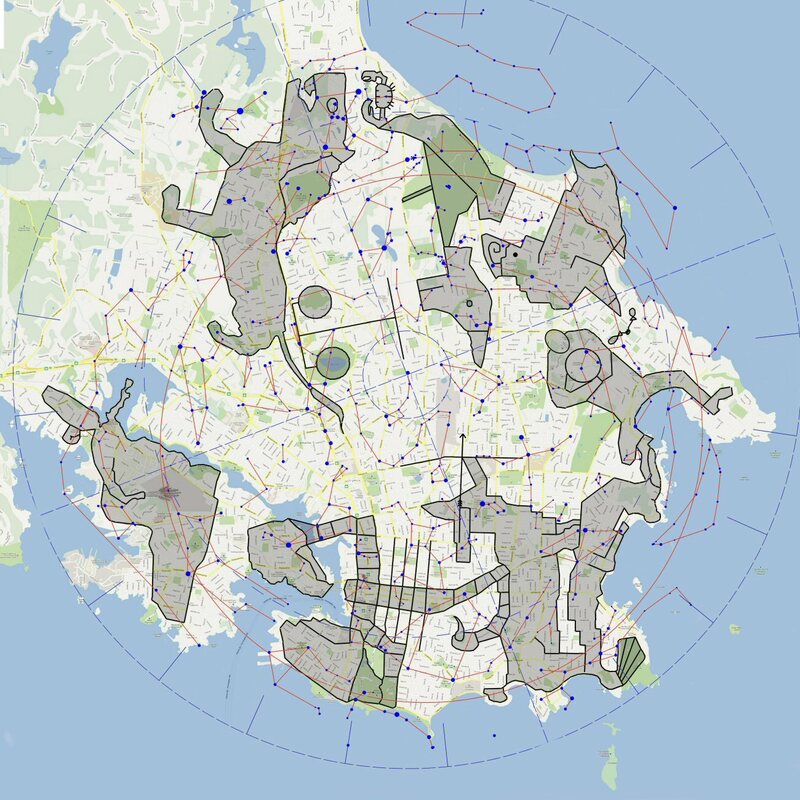 This image shows the planisphere overlaying the city map of Victoria with the Zodiac effigies drawn on it. This image show the VLZ with the tropical Zodiac marked on it. This is the 360 degree circle divided into 12 equal 30 degree segments. Note that because of precession of the equinox, there is about a 28 degree difference between the tropical zodiac and planisphere constellations. 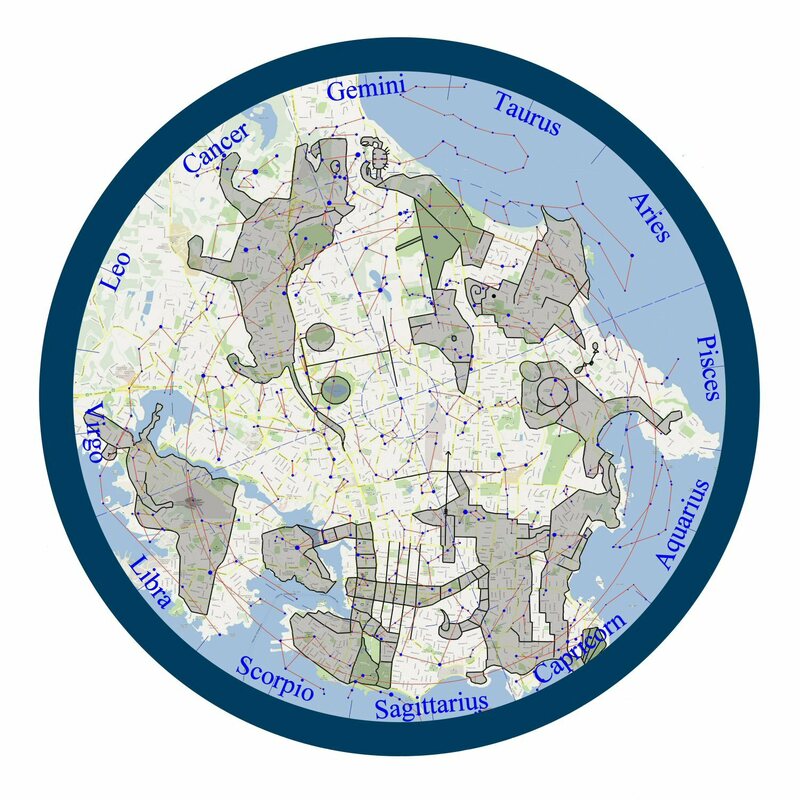 With the tropical zodiac, I can now overlay astrological charts on the VLZ to caste terrestrial (Earth/landscape) astrology chart. 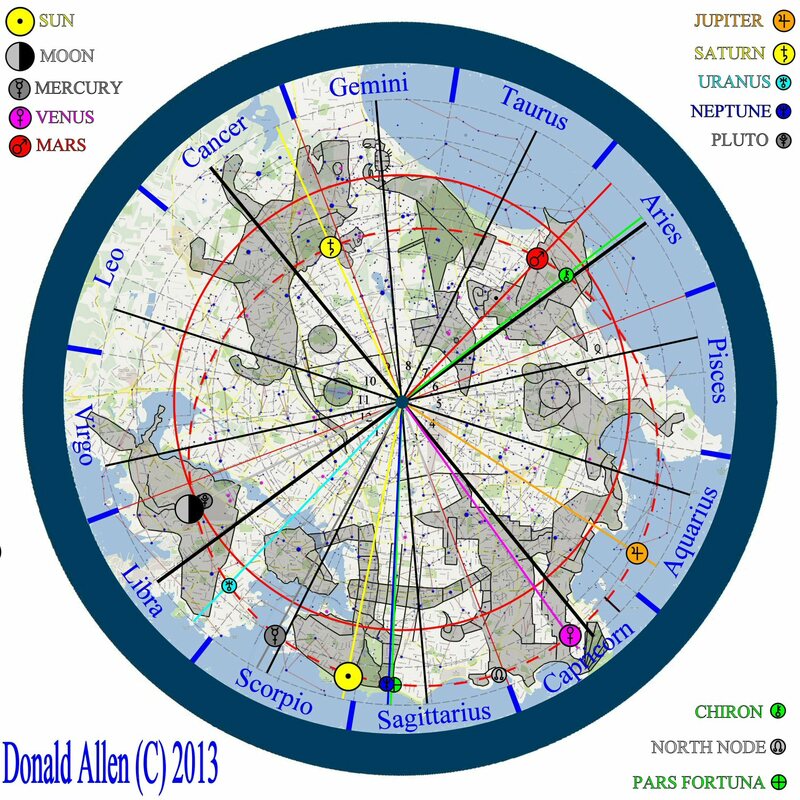 I will be adding detailed information about the terrestrial charts at a later time. More to come . . . 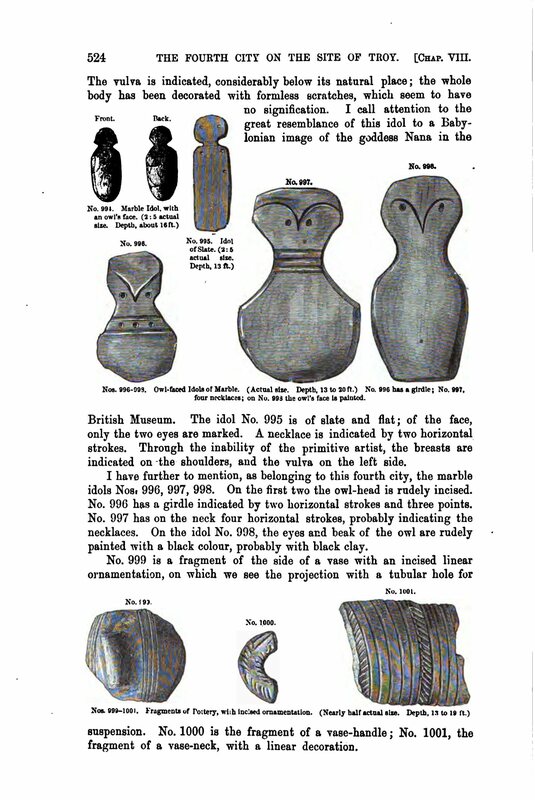 The above images show a comparison between the Victoria Aries effigy (on the left) and the Glastonbury Aries effigy (on the right). Victoria’s Aries is shaped like a Ram where as Glastonbury’s Aries is shaped like a Lamb. 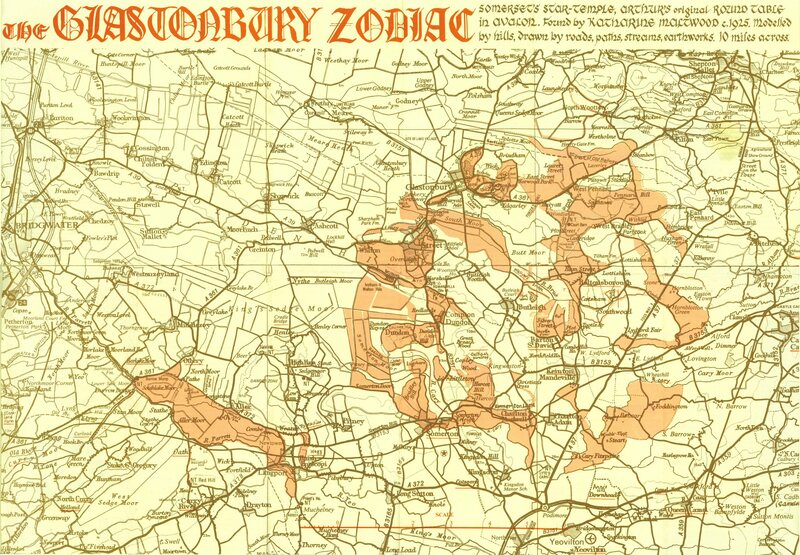 *Note that the Victoria Zodiac is rotated 90 degrees clockwise to the Glastonbury Zodiac. 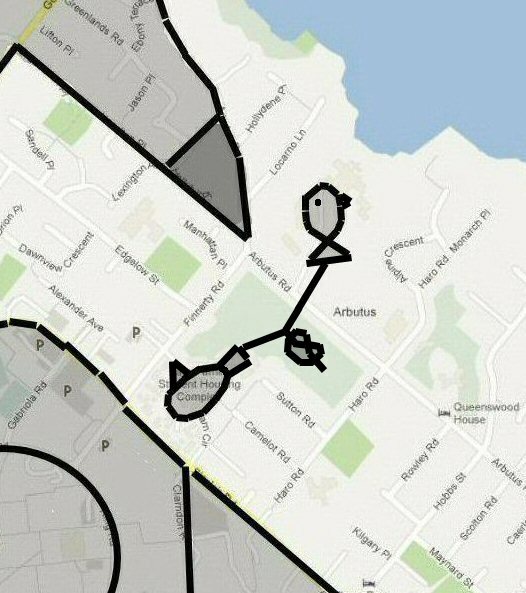 I rotated the Victoria map 90 degrees counter clockwise so we can see the Victoria Aries effigy in an upright position. 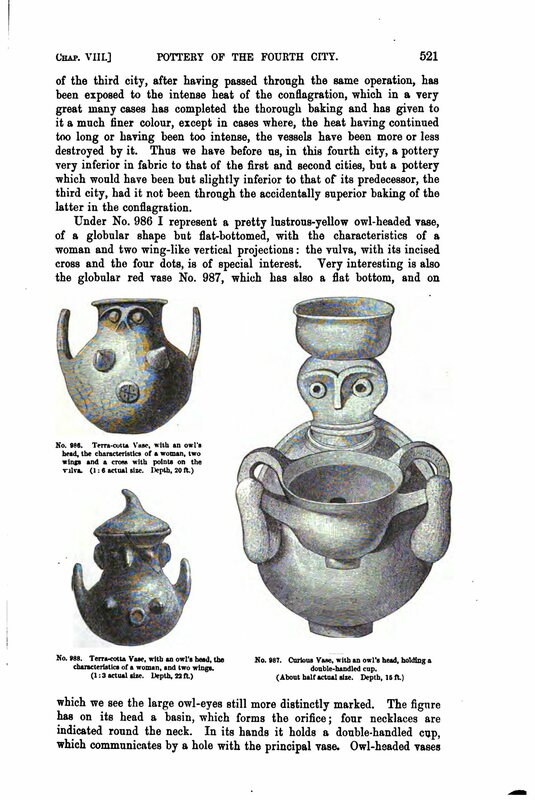 The Glastonbury and Victoria Zodiacs have many things in common. 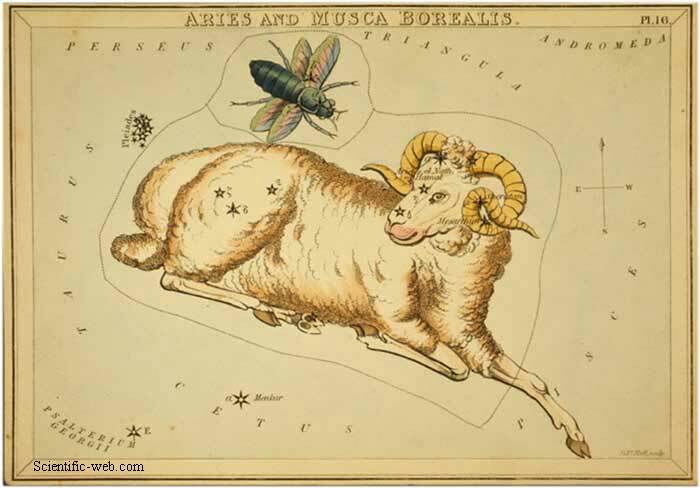 In the case of Aries, one of the most signifcant similarities is the fact that, like the Aries constellation in the night sky, both of the Aries effigies have their heads looking back towards there tails. 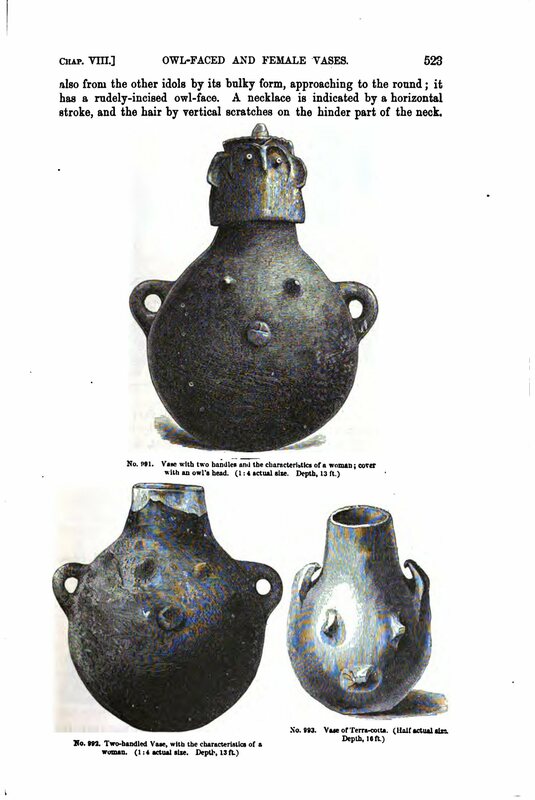 I will be sharing more detailed information about the significance of the reverted heads at a later time. Another striking similarity between the two Aries effigies is that they both have large athletic fields located on the back/pineal gland area of their heads. with the Victoria Aries it is LAMBrick Park hence LAMB/RAM. In the Glastonbury Aries it is Victoria Athletic Park. 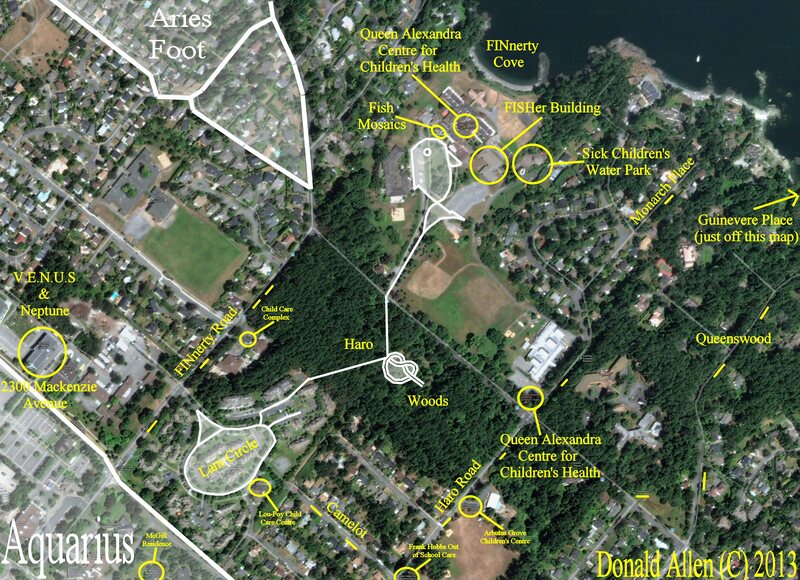 This image show a closer look at the names of streets, parks, and schools surrounding Victoria’s Aries head. I have higlighted some of the most notible names in green. 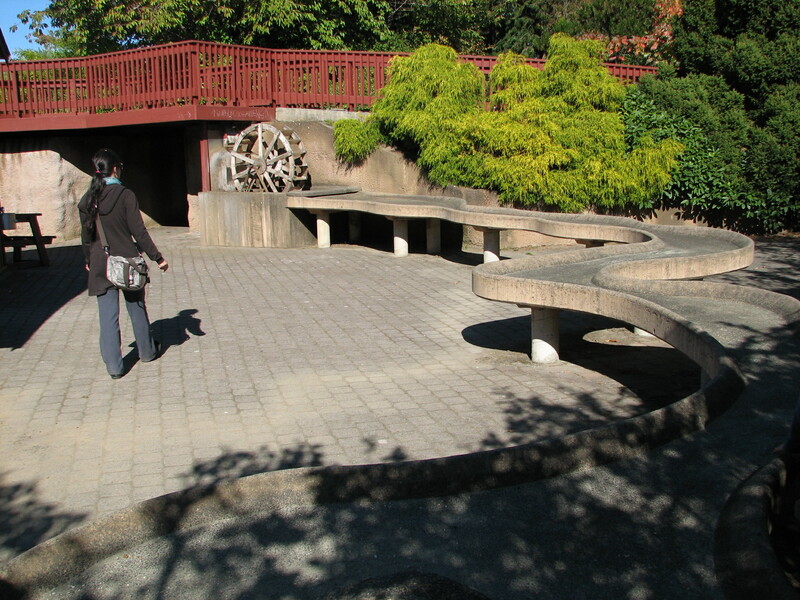 The first thing to notice is that Aries in located in the Gordon HEAD and LAMBrick Park area of Victoria. Aries is a RAM hence LAMBrick and the zodiac sign Aries rules the HEAD. 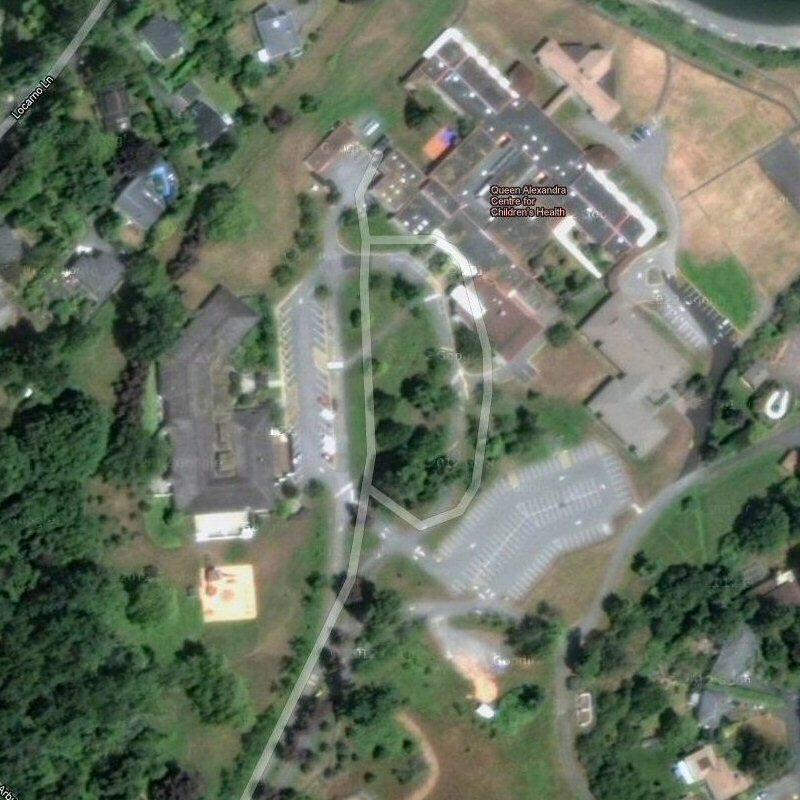 LAMBrick Park sits on the back of Aries head and Gordon HEAD Middle School marks Aries eye. The Zodiac Sign Aries is Ruled by planet Mars. Mars also rules THORN trees and more specifically the HAWTHORN. 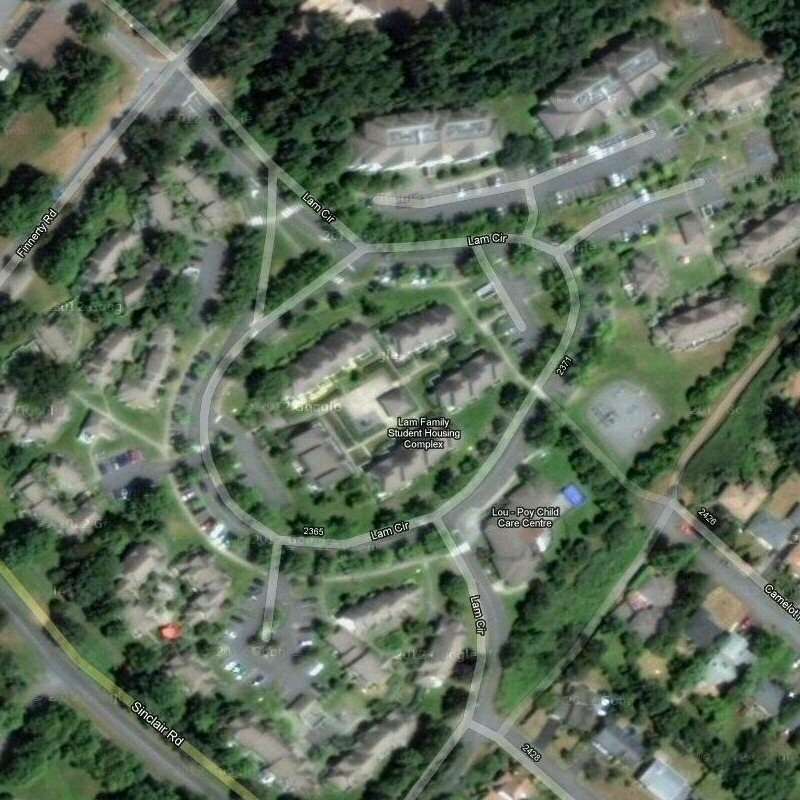 THORNhill CRESCENT (one of the very few spiralling streets in Victoria) forms part of Aries’ Spiralled Horns. Aries appears to be looking towards HAWTHORN Street. Right above Aries horns is BUCKINGham Place and a little to the right (north) of BUCKINGhamPlace is RAMsey. Place. PaRAMont Place is a little to the right and down from RAMsey Place. Wool comes from sheep and is used to make FELT. FELTham Road runs down the back of Aries neck, shoulder and chest to his front leg. The first thing that I would like to point out in this image is that Mount Douglas Secondary School sits on Aries chest. If you go to the Mount Douglas Secondary School website you will see that the school crest has a big horn sheep (Ram) head on it and their football team is called the RAMS. 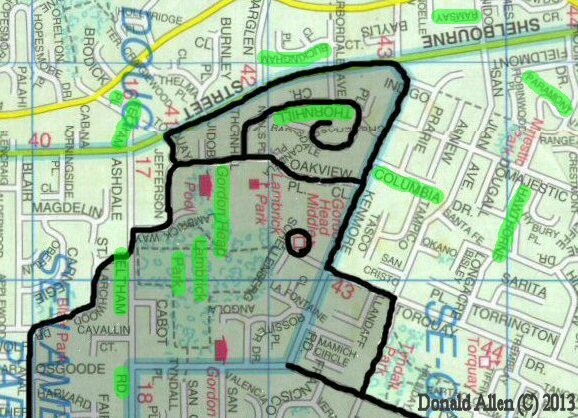 I would also like to point out that just below (east) of Mount Douglas School is Galaxy Place and Orion Place but I will speak of these streets at a later time. By the time Mary’s shared her original map drawings with me, she had not yet figured out Aries front leg. This is something that I figured out. Confirmation came in the form of Jason Place on Aries fornt leg hence the mythological story of Aries being Jason and the Argonauts and their Quest for the Golden Fleece. 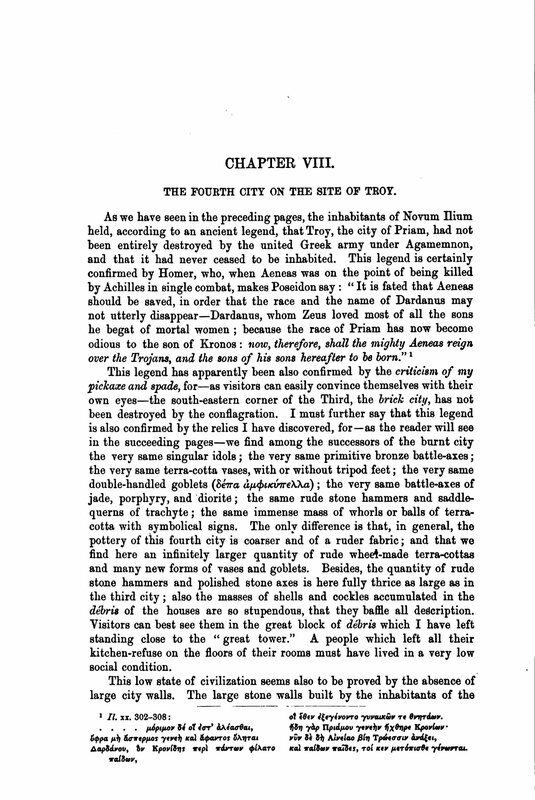 The complete story surrounding Aries can be found in The Agronautica by Apollonius Rhodius.